Julie started with Long Family Dental in 2012, and she was sure to bring her 30+ years of experience in the dental field with her! With a do-it-yourself attitude, she has learned everything about the dental field through on the job training and practice management courses. At Long Family Dental, Julie coordinates the financial needs of the practice, schedules patient appointments, and works with the patients to make sure they receive the care they need and deserve. Julie is excited to work at Long Family Dental and meet the new patients. Her positive attitude and great desire to help people ensures a fun and relaxing environment for every patient. Outside of work, Julie is very active in her church. In her free time, she also enjoys reading, singing, and traveling with her husband John. She also has two sons who keep her busy. 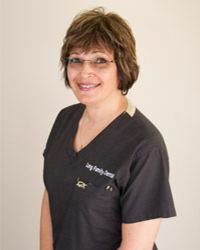 Jacey has more than 20 years of experience in the dental industry and has been part of Long Family Dental since 2006. As the treatment coordinator, she maintains the schedules of the doctors, verifies insurance, works with patients on financing their dental care, and confirms appointments. Jacey loves her job, especially because the entire team works together to create a fun, relaxing environment for patients. They seek to give every patient the best care possible and take the time to get to know them personally. Jacey is naturally upbeat and believes a positive attitude creates great relationships. She encourages patients to contact her any time with their questions and concerns. Jacey has been married for 15 years to Rondy. They have two sons named Brady and Beaux. Both boys keep them busy with baseball tournaments. She also enjoys cooking on the grill, spending time with friends, working out, playing with her children, watching football, and golfing. She loves living in the country where her kids can swim, shoot guns, and enjoy campfires. She also has two dogs named Charli and Jersey. Monica has been part of Long Family Dental since 2001. She files all insurance claims, sends billing statements, accepts patient payments, and follows up on all insurance issues. She graduated with her Bachelor’s in psychology from Texas A&M University. Monica was a patient of Long Family Dental before she started working at the dental practice and trusts Dr. Bob and Dr. Chris wholeheartedly with her family's dental care. Monica loves working for Long Family Dental because it's a family environment. She really enjoys her job and likes to help patients understand and fully utilize their insurance options. Monica has been married to her husband, Monroe, since 2000. They have two children named Grace and Clark. Monica homeschools her children, and she's an active member of Friendship Baptist Church. Monica enjoys reading, traveling, working out, and spending time with her family. Jeannette has been working at Long Family Dental since 2008. She takes care of the daily financial tasks at Long Family Dental, including accounts payable and employee payroll. She also pitches in with the front desk whenever needed, answering phones and confirming appointments. 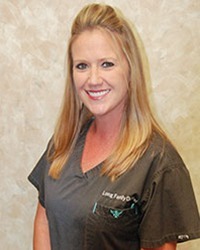 Jeannette loves working with the doctors and staff at Long Family Dental. She feels that everyone gives patients the highest level of quality care. She feels she's a good fit for her job because she likes staying busy, doesn't mind paperwork, and likes addressing all the details needed to ensure that operations run smoothly. Jeannette is happily married and has two grown children who are married. She has six grandchildren as well! In addition to spending time with her family and attending church, she enjoys home improvement projects, reading, going to the movies, and spoiling her fur babies: Bella the Chihuahua mix and Patches the plus-size cat. Our Hygiene Coordinator, Stephanie, hails originally from Vero Beach, FL. 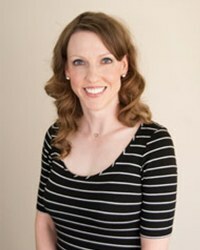 She recently joined the Long Family Dental team but has over 10 years of dental industry experience. She started her dental career as a dental assistant. As our Hygiene Coordinator, she now schedules hygiene visits, verifies insurance benefits, makes financial arrangements, and maintains patient records. 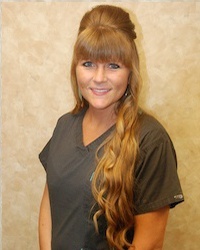 Stephanie enjoys working at our dental practice because of the upbeat family atmosphere and quality patient care. 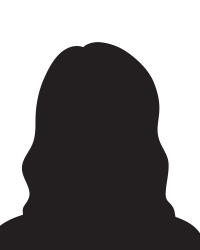 When not at work, she enjoys spending time with her family, swimming, reading, traveling, baking, fishing, and hiking. Marissa completed her Bachelor of Science in Dental Hygiene and joined Long Family Dental in May of 2015. She earned her degree at the Caruth School of Dental Hygiene and Texas A&M Baylor College of Dentistry. She grew up as a patient in our practice, and we are so proud to have her working on our team today. According to Marissa, she wanted to work at Long Family Dental because she saw firsthand how the team treated patients and each other like family. Coming to work every day is fun, and there’s never a dull moment! She’s also dedicated to building relationships with patients based on trust and respect so she can help everyone she treats maintain optimal oral health. Outside the office, Marissa enjoys spending time with family and friends, going to concerts, being active (especially Zumba! ), enjoying the outdoors, and shopping. Marissa also loves playing with her Yorkie Paris. 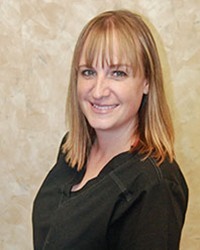 Ashley has been in the dental field for over 10 years and has experience in both the front and back office. She loves working around others who enjoy what they do as much as she does. She also loves the bonds she has created with her patients and coworkers and appreciates the family-friendly atmosphere at Long Family Dental. When Ashley is not working, she is a busy mom of two. She loves cooking and spending time at home with her husband and children. Shelly joined our team in January of 2018, but she’s been providing exceptional dental care for patients since 2011. 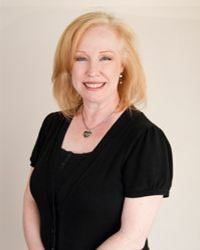 With experience in both front and back office dental care, she works diligently to ensure patients feel relaxed and that treatments go smoothly. She prides herself on doing her best to stay one step ahead of the dentists during treatment so she can deliver what they need before they even have to ask for it! Shelly studied at Kaplan College and she is certified in dental sealants and coronal polishing. Originally from Midlothian, Shelly, her husband, and their two daughters now call Cleburne home. If she’s not at work, you’ll find her with her family or working out. Kaitlin joined our team in 2018, but she has worked in the dental field since 2009. She loves helping patients feel their very best and seeing them leave the office with newly confident smiles. She studied dental assisting through the VIP Dental Training Center, and she has enjoyed putting her dedication and attention to detail to work, ensuring every aspect of the practice runs smoothly. She is especially conscientious of patient comfort, and she’s thrilled to work with a team of professionals who are just as dedicated to exceptional dentistry as she is. 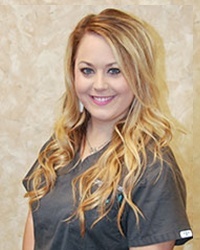 In addition to her work in our office, Kaitlin also shares her dental assisting expertise with her peers as an instructor at a dental assisting school located in Grapevine. Originally from North Richland Hills, she and her family are enjoying calling Cleburne home. They regularly spend time together in the outdoors – her daughter loves to ride horses, and the family enjoys going to the rodeo, camping, and visiting the coast too.